Experience the nature, arts and culture of Bali on a private day trip. This full-day sightseeing itinerary offers a perfect combination to satisfy your curiosity about Bali’s Hindu temples, specialized crafts and local life. You’ll visit Batuan Temple, the Tegalalang rice terraces, the holy springs at Tirta Empul, a Luwak coffee plantation and several artisan villages surrounding Ubud. Includes hotel pickup and drop-off in the most tourism areas of Bali. Your driver will pick you up at your accommodation 8:30am to meet and greet and begin the great experience with first visit to Batuan Temple. At around 9:30am you will arrive at Batuan Village temple. This temple is a local Balinese Hindu temple, looked after by the local residents of the Batuan countryside. The temple is designed very beautifully, full of Balinese ornaments and the roof temple building is made from the fiber of chromatic black palm tree. Enjoy the unique of this temple for half an hour. Then around 10:30am you will arrive at Tegalalang Rice Terraces to marvel at the UNESCO-listed rice terraces, one of Bali’s most photographed sights. 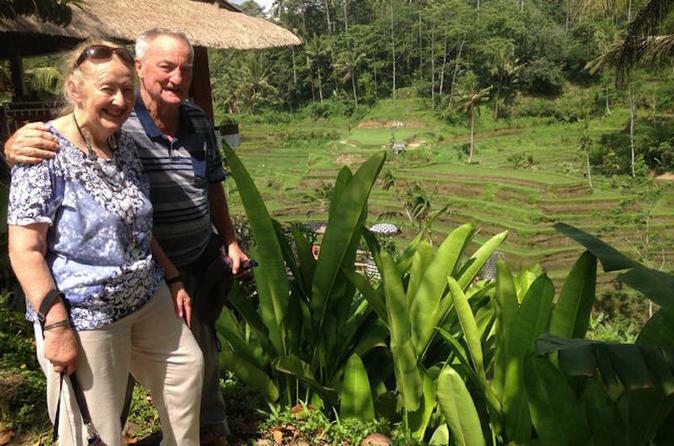 Learn about the pioneering ‘subak’ system – the Balinese cooperative irrigation system – for which the terraces are known, as you admire the views over the rice paddies. Enjoy the awesome view of the nature for an hour. Next at 12pm you will arrive at Tirta Empul - Holy Spring Water Temple. Tirta Empul Temple bequeathed to the people by ancient Rajadom is perhaps one of the most fascinating spot in the area. The main attraction here is a long rectangular pool carved of stone, filled with koi and fed by the sacred spring via 12 fountains. Worshipers first make an offering at the temple, then climb into the main pool to bathe and pray. Many worshiper collect the holy water in bottles to take home. By around 2pm you will visit coffee farm to see Coffee Making Process.This coffee is made from the beans of coffee berries which have been eaten by Luwak the Asian Palm Civet and other related civets, then passed through its digestive tract. You will be shown the process of making coffee there. Tastings of all coffee, tea and cocoa drinks are included, except for Coffee Luwak which you could purchase there. At 3:30pm experience Ubud Painting Art. Ubud village is the center of arts in Bali. Ubud arts are very famous all over the world. Here all the great and famous painting arts are, you will see how painters work to process their paintings and explore some painting that already finish. This experience will be ended at your accommodation around 5pm.